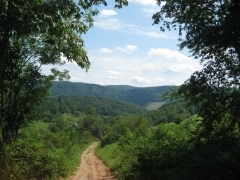 This 1.95 acres is located on Burrville Rd just a few minutes from Sunbright TN. This property is hilly with some level places. This property is completely wooded. Mobile Homes and Modular Homes are not permitted. There is no minimum square footage for any home that is built on this property. Additional wooded acreage is available next to this property.